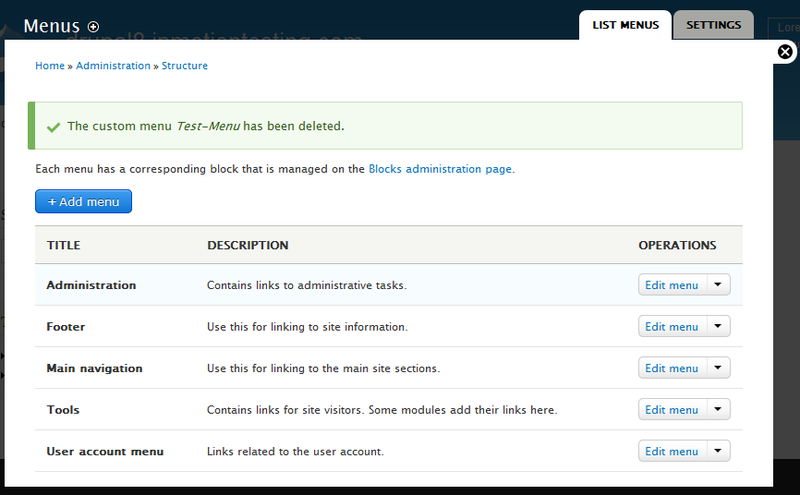 This quick tutorial will cover how to delete any of the custom menus you created in Drupal 8. Note that this is for deletion, in other words complete removal of the menu and not just a simple disabling of the menu. Log into your Drupal 8 administrative dashboard. 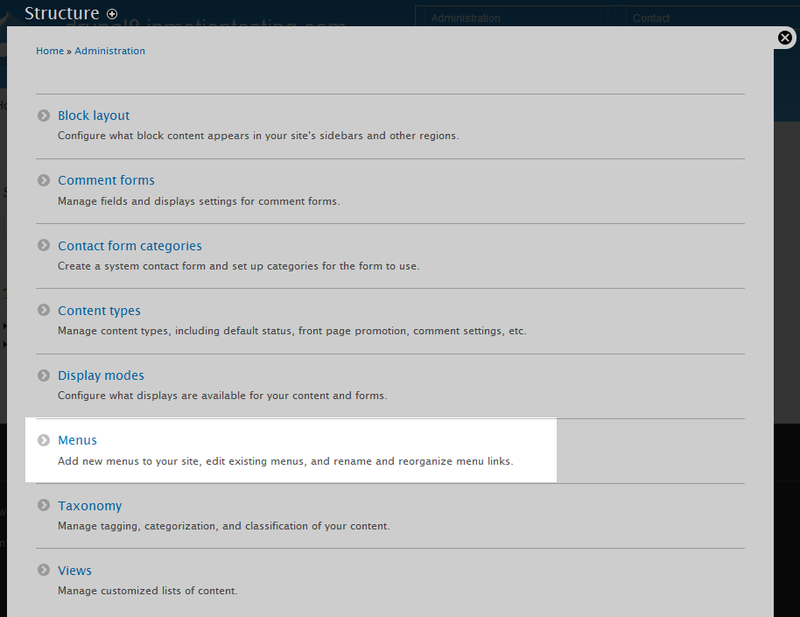 Next, click on Structure from the secondary menu that appears. This brings up the list of different structures. Find and click on the Menu option. Find the menu you want to work with and click on the down arrow for the dropdown on the right side of the row. From there, click the option labeled Delete Menu. A confirmation pop-up will appear. This will notify you that it is permanent and all links in the menu will also be deleted. Click the Delete button when you are sure you want to complete the deletion. Once the menu is deleted, you will be taken back to the menu list screen. The menu you deleted will no longer appear in the list.